Note: The exact meeting location will be disclosed upon purchasing your ticket. What a great way to get firsthand information and insight on a community and culture. Mohammed presented a thorough tour complete with a visit to Buddhist temple, restaurants, grocery store, herbal store and bakery! We will be sure to return with a better understanding and respect of that area of Chicago! If you're looking for something truly unique to do in Chicago, check out a Spice of Life Tour! We've now done both their Chinatown Food and Cultural Tour and the Devon Avenue Food and Cultural tour. We did Chinatown last year and just this past weekend did the Devon Avenue Tour. This review is of the Devon Avenue tour. 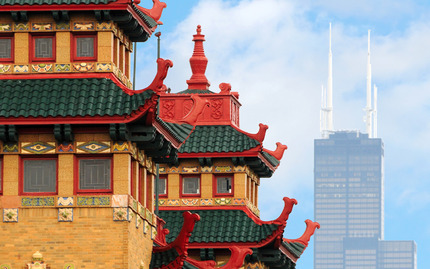 Devon Avenue is one of the most culturally-rich areas of Chicago - with cultures that range from Orthodox and Hadsidic Jews to Muslims from Pakistan with a huge mix of Indian, Nepalese and other Asian Subcontinent cultures blended in for good measure. It happens also to be the safest neighborhood in Chicago - even safer than Michigan Avenue!. Our tour was led by Spice of LIfe's owner, a man of Persian descent, but came to America as a child and was raised by a combination of Indian, Jewish and Pakistani folks as a foster child - all along Devon Avenue. And with that rich cultural history under his belt, who better than to guide you on a fascinating tour of the Devon area? We visited mulitple restaurants and sampled a wide variety of foods from classic Indian appetizers, to Pakistani barbecue, to stuffed Na'an, and many things besides. We started in an Indian "bookstore" (the quotes as they sell much more than books there) and enjoyed appetizers while there, then proceeded to an Indian clothing boutique where the women try on Saris and the men try on traditional Indian men's suits. From there, more food stops, a stop at a Pakistani clothing store to see the differences, a stop at a Hindu temple and much more. And food, more food! All along and in-between, our guide filled us with a rich cultural explanation of everything we were seeing, both about the history of India, Pakistan and other cultures (with emphasis on India) and about how they came to Chicago and what they've done here. Again, this is a Chicago Must Do! A quick statement about the Chinatown tour - the same - a mix of education about Chinese culture, stops at things like a Buddhist temple, clothing stores, variety stores, etc. and lots of fantastic food of all different kinds from Hong Kong style to Mandarin to Szechwan and everything in between! A word to the wise - this is not a short tour - most of their tours run at least four hours and because we had the perfect combination of a talkative, inquisitive group and our guide who is talkative and social, our Devon tour went all of 5 1/2 wonderful hours. For the price, there's no better "fun per hour" quotient anywhere. I have lived in Chicago over 20 years - and I feel like Spice of Life Tours is a great new discovery! I signed up for the Little India tour thinking it might just be a progressive lunch at a few Indian restaurants - but it was so much more! First of all, Mohammed is an amazing human being - smart, warm, enthusiastic and so interesting. Yes we ate a ton of fantastic Indian food, but we also went into retail stores (and tried on saris! ), visited a spice shop and even got a henna tattoo. All was wrapped around an educational dialog about the Indian culture in general as well as in this area of Chicago. It was such an usual and fun experience. We are signing up for other tours at Spice of Life Tours like the one China Town. Cannot recommend this enough to out of towners and native Chicagoans alike! I highly recommend this food tour to all visitors and even native Chcagoans. The Devon Avenue experience is not to be missed. You will be amazed at the food and the level of knowledge - and the guide is an anthropologist - fantastic! Went on the Chow-Chow Chinatown Tour with Caroline Thai, and it exceeded my expectations. I lived in the Chinatown neighborhood almost two years, and signed up for the tour as a nostalgic exercise, thinking I would hit up my old regulars. I was surprised to see how few of the places on the tour I had actually been to in the past. The tour is the perfect blend of popular go-to's, great places I had passed up before, and things I didn't even know existed despite! Everything on the tour was worth checking out on my own again, and the tour makes it easy for those who know nothing about Chinese cuisine to return and be able to order with confidence. I will be doing this tour again when I have company visit from out of town. This tour was fantastic! My daughter and I couldn't believe how much we learned and experienced by attending. With both of us being kind of foodies we loved the number of restaurants and the different types of foods that were included. But this tour is much more than food, as a former teacher myself, I really appreciated Mohammad's ways of incorporating the history of the neighborhood, humor, along with providing us the knowledge of the differences of the country. I can't say enough. I highly recommend! My husband signed us up to do the Spice of Life tour this past weekend. I wasn't too sure what to expect, but I love Indian food and culture so I was excited for the day. I was blown away by the guide, Ali who was FANTASTIC the whole day. He has a story that belongs on 20/20 and was an open book ready to answer questions and to teach us about the culture and diversity on Devon Ave. From Henna tattoos to butter chicken, I completely enjoyed the entire experience and have told several friends that they should sign up for a tour. I highly recommend this tour and would take any family member looking to experience the diversity of Chicago on it as I know that it would not disappoint and that Ali would take good care of any of his guests. This is a day of fun that I will never forget. Even though I live close to Rogers Park and have been to Devon Ave. many times the tour was very informative. Mr. Ali grew up on Devon Ave. so he is very knowledgeable about the neighborhood, people and culture. The restaurants were clean and both upscale and local. The food was abundant and all tasty. We learned of snacks that are not on any menu and would have never known about or tried otherwise. To drink we had sugar cane juice and wine specifically made for Indian cuisine. We went to grocery and clothing stores...not just upscale clothing stores (where you try on ornate, silk saris) but places that were more affordable. Mr. Ali was very gracious in waiting while we tried on tunics to purchase and the henna tattoos were fun! I would recommend this tour to visitors and residents alike. Spice of Life is not just a food tour - though there was more than enough food, and it was all good. You also stop at local stores and a Sikh Temple. The host, Mr. Ali, is very personable and enthusiastic, and knows a lot about the area (he grew up there) and the cultures of India and Pakistan. I felt like I spent the afternoon in the company of a good friend, who showed us a side of the area that we would never have been able to see on our own. Even our teenage daughter enjoyed the tour - and paid what for her is the ultimate complement when she said that she wished that Mr. Ali were her history teacher (he is a history teacher at a local high school). The Spice of Life Tour is a Great Adventure! In just a few hours one will experience the delicious tastes of four Indian cuisines, ranging from snacks to appetizers to dinner entrees. Thereâ€™s even a stop for Vegetarians. Your host, Ali, provides a fascinating history of Indian culture and its arrival to famous Devon Avenue. Youâ€™ll walk to several stores and experience Indian literature, fashion, jewelry, and even visit a Sikh temple. Itâ€™s as if youâ€™ve gone to India for a brief vacation. As one who virtually had no experience with Indian foods, I was VERY pleased with the entire menu. Everything tasted delicious! In fact, I will definitely make a return trip to one of the stops on the tourâ€¦.the Tiffin Restaurant. You will enjoy the Spice of Life Tour. 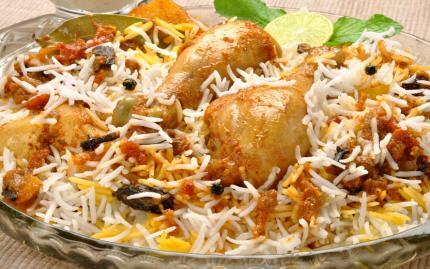 Your taste buds will rejoice, your memories will be pleasant and you will have a wonderful afternoon. Have Fun! This food tour is a lot more than great food. You get a good idea of Indian culture in America and a chance to see a different side of Chicago. As a Chicago area resident, I couldn't recommend this more to locals and tourists alike. Come hungry; you will leave full. The tour was an awesome way to explore this part of the city. I learned a lot and ate a lot of good Indian food. The henna tattoos were fun and were included in the cost which is an added plus. I never drank Indian wine before which was tasty. The best part was being able to eat different types of Indian food like appetizers, curries and BBQ. I laughed so hard when I found out that the tour guide's name was Mohammad Ali. Too funny. Even though he is a history teacher he wasn't boring and made it fun. I bought a "Barbie In India" doll which was hilarious as a gift for my sister.